All USA Hockey Rules shall be followed. All teams shall be registered with USA Hockey and shall provide an official USA Hockey roster with all players and coaches participating listed on the roster to the tournament officials. All players will check in no less than 30 minutes prior to their first game of the tournament with a valid form of ID. All players will keep their ID on their person during the tournament. If a player issue arises and the player doesn’t have proper identification, the player will be disqualified, and the game forfeited. All games will be officiated by USA Hockey officials. “A” skill level player may not play on a “C” level team. All games will start on time (or as close to on time as possible). No delays, waiting for players, or etc. will be allowed. Forfeiture: if a team forfeits the other team shall be awarded a 1-0 victory and 2 points. If both teams forfeit, no points shall be awarded. 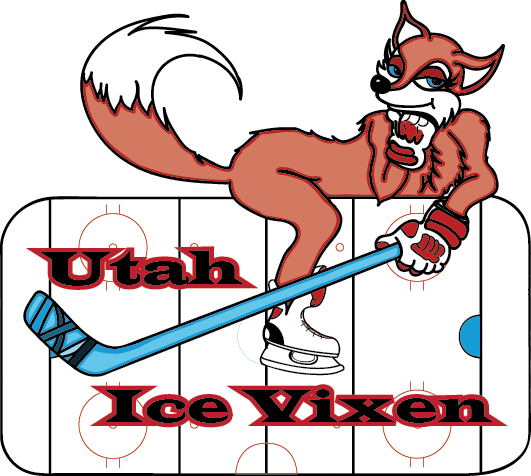 By registering for the Goal Digger Tournament you agree to indemnify and hold the Utah Ice Vixens, its officers, officials, players and volunteers harmless from any and all claims, injuries, damages, losses or suits including attorney fees, arising out of or in participation of this event. Players may only play on one team per division. A player may only play up one division, if a player is primary to C they are only allowed to play Bb, and so on. Exception for playing on more than one team in the same division shall be granted for goalies only with the tournament official’s approval if there is a justifiable reason (such as injury). An A level player registered on an A division team my not play on a C division team. A player of C or B skills level may play on one team per division such that the majority of players on a team meet the level of skill for that division. Points tie Breaker (This system shall be used to determine each placement i.e. if there is a 3 way for first place, this shall determine the first place team. 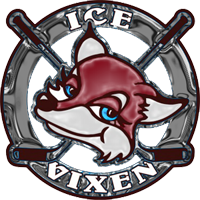 The process shall be started over with head to head then follow the list to determine 2nd place of the 2 remaining tied teams). 5 min warm up (may be shortened to 3 if behind schedule). Each team is allowed 1, 30 second timeout per game. 3 – 12 minute stop time periods up to 1- hour time. If time is running out, 3rd period can be shortened to 10 minutes and/or be switched to run time at the tournament officials / referees discretion to keep the tournament on schedule. 3 – 12 minute stop time periods up to 1:15 game time. 5 minute Sudden Death period. Shoot out per USA Hockey Rules. Any player penalized by the referees for starting a fight shall be ejected from the game per USA Hockey Rules, and miss the next game. Any player involved in a fight shall be ejected from the game per USA Hockey Rules, and miss the next game. Any player involved in a fight is subject to ejection from the tournament based on referee and tournament official’s discretion. In the case where a situation comes up that is not addressed by the rules and procedures as listed, the tournament officials shall make a decision for resolution. All call made by referees are final. All teams entering the tournament agree to abide by these stipulations. All players, coaches and supporters are expected to conduct themselves in an appropriate manner at all times. Any person engaged in verbal or physical abuse of another player, coach, referee, spectator, tournament staff, or officials, will be asked to leave the tournament. Teams will be held responsible for misconduct of players, coaches, spectators, and may be removed from the tournament if the situation escalates. Uses obscene or vulgar language in a boisterous manner to anyone at any time, even if it is not directed at any particular person. Visually demonstrates any sign of dissatisfaction with any decision by an official including standing on the boards or standing in the bench doorway with the intent of inciting the officials, players or spectators.